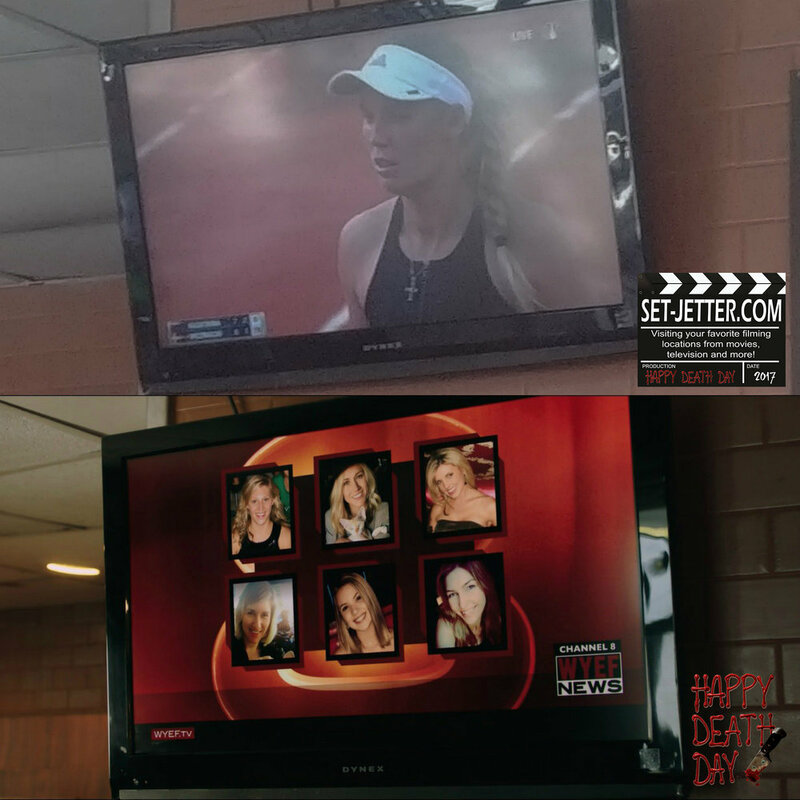 I’ll be honest, I avoided Happy Death Day in the theaters as it was a PG-13 horror movie. When I decided to give it a look on video, I was pleasantly surprised. The film was shot in New Orleans and Los Angeles. 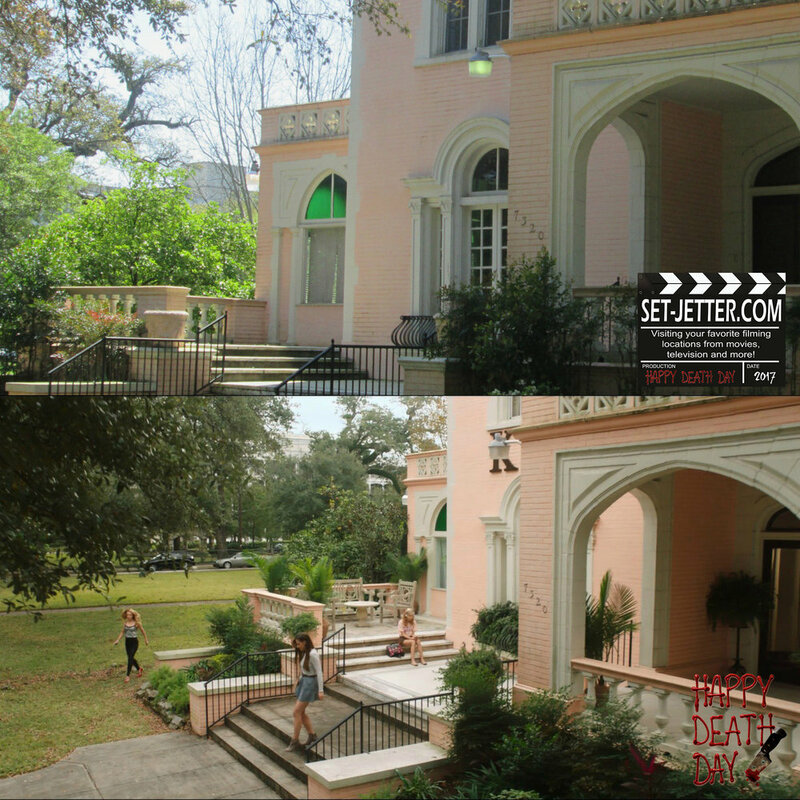 The majority of the campus scenes were shot at Loyola University in New Orleans, particularly in the academic quad where you can see Stallings, Marquette, and Bobet Halls. 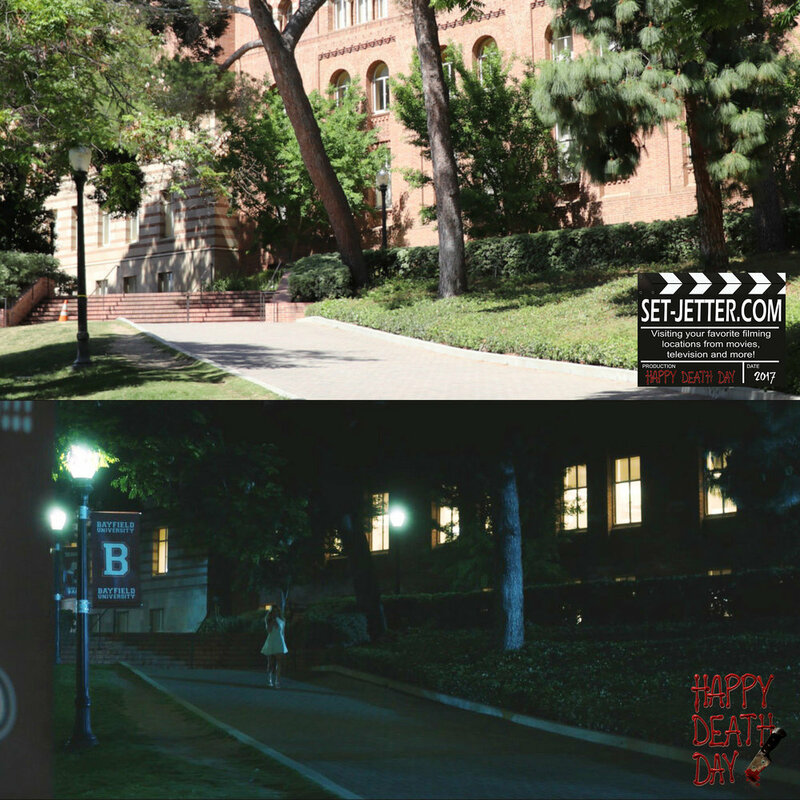 I just put a few shots up as I didn’t intentionally visit the campus for this film, but for the tv series, Scream Queens. 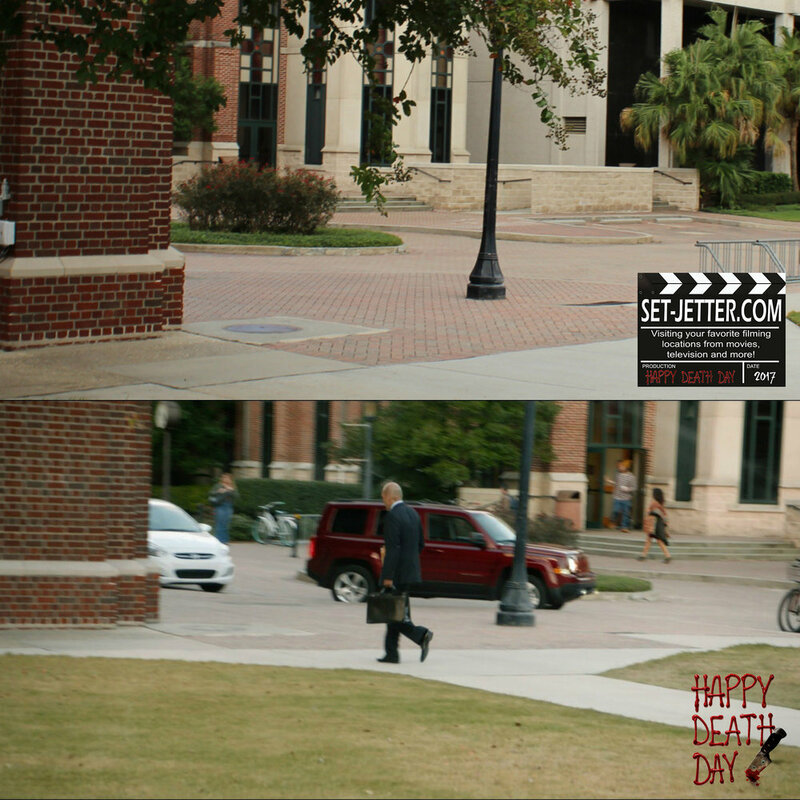 The movie sequel, 22 Jump Street also shot extensively on this campus. 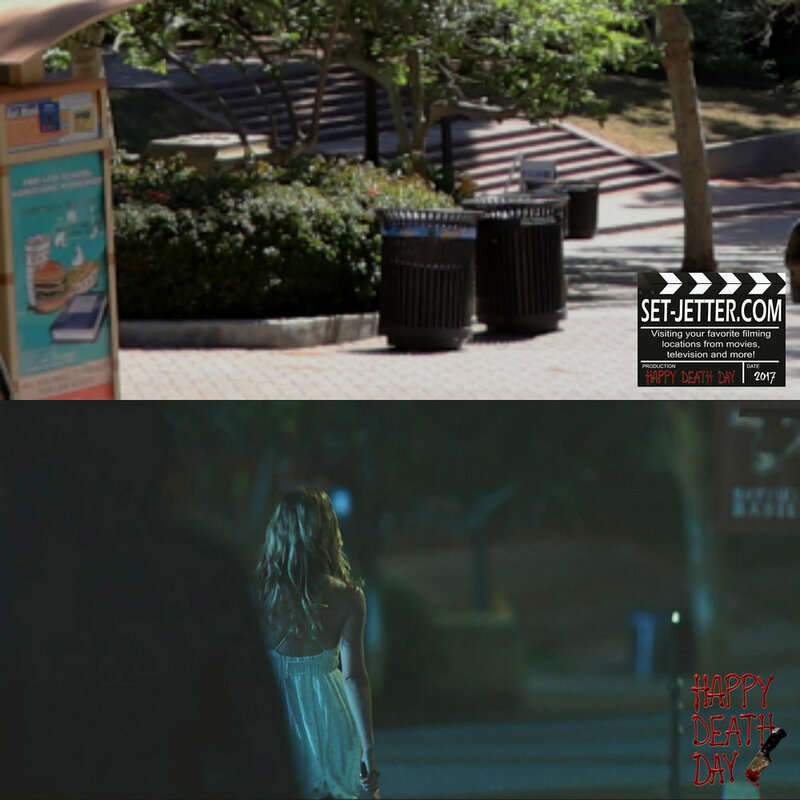 For the next campus scene, we move all the way over to California to the UCLA campus. 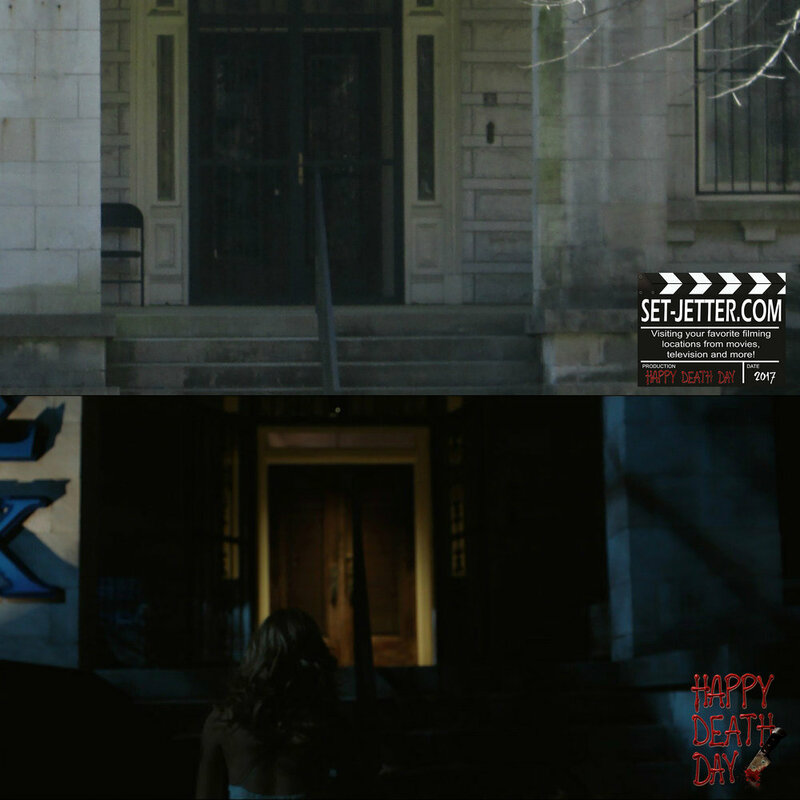 This was shot on the Election Walk, right between locations for Nightmare on Elm Street 3: Dream Warriors and Scream 2. The tunnel scene is also on the UCLA campus, right of Westholme Avenue and Charles E. Young Drive East. 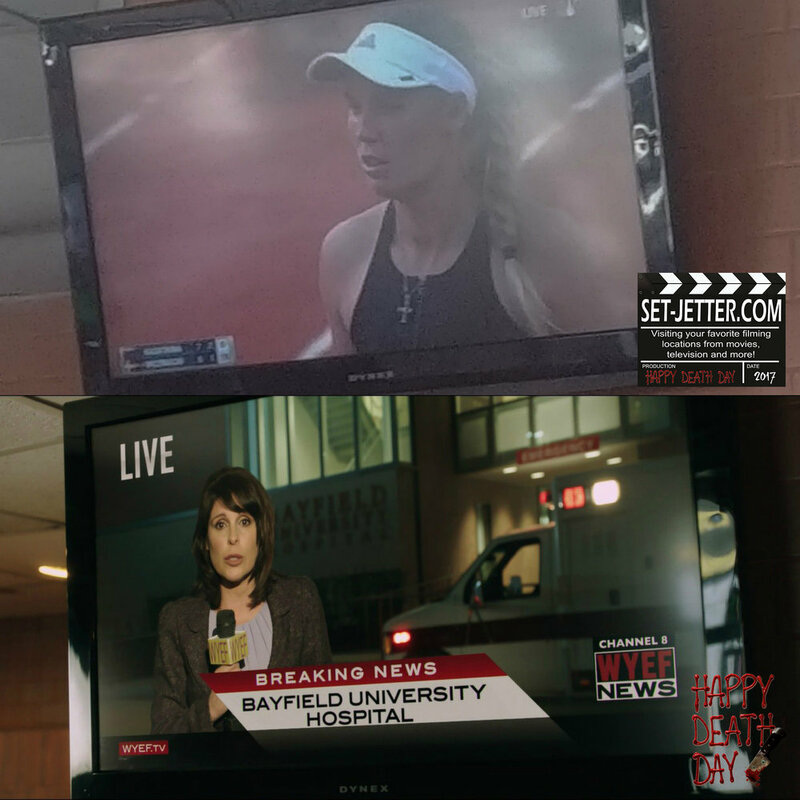 Being the location geek I am, you have to walk the walk…. 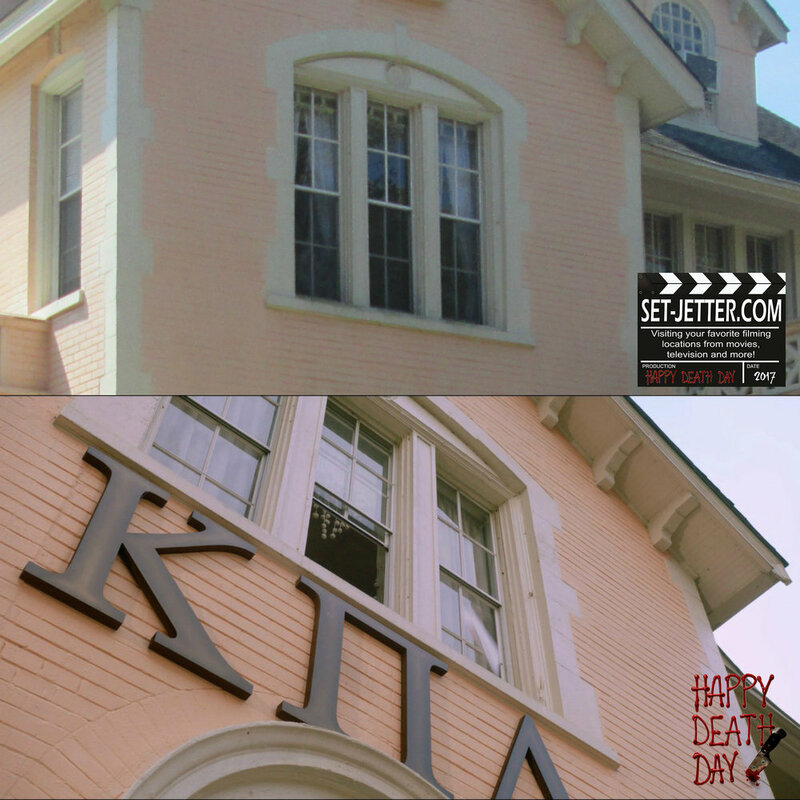 My friend Brian at Reel To Real Movie & TV Locations was kind enough to take these pictures of the fraternity house while he was in New Orleans. This is located at 7310 St. Charles Avenue, just down the street from the campus. Right next door is the sorority house located at 7320 St. Charles Avenue. Thank you, Brian, for getting these shots. 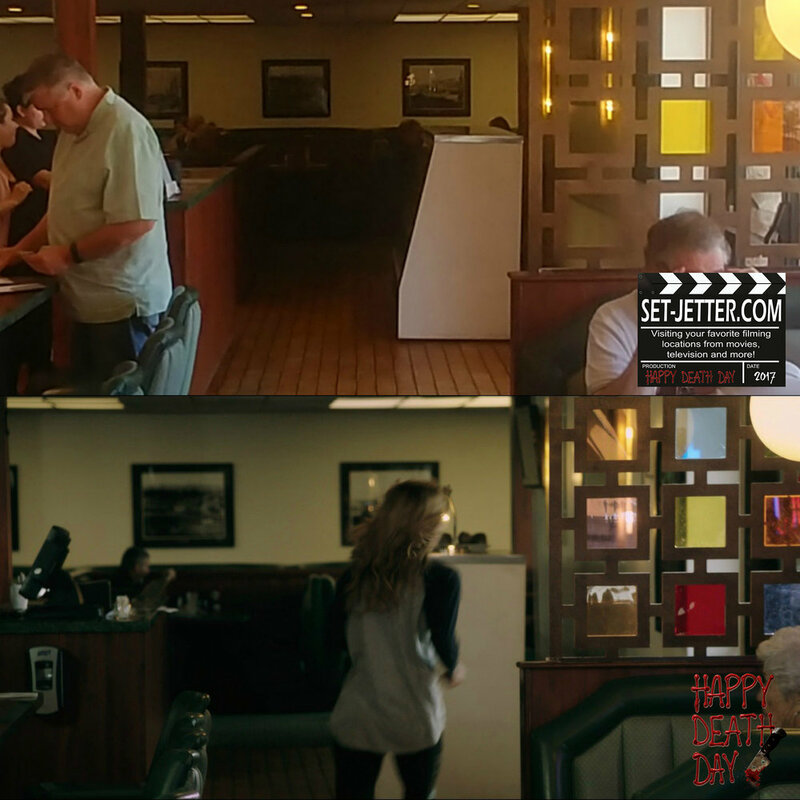 Back to LA for the diner scenes, located at Corky’s Restaurant and Bar at 5043 Van Nuys Boulevard in the Sherman Oaks area. 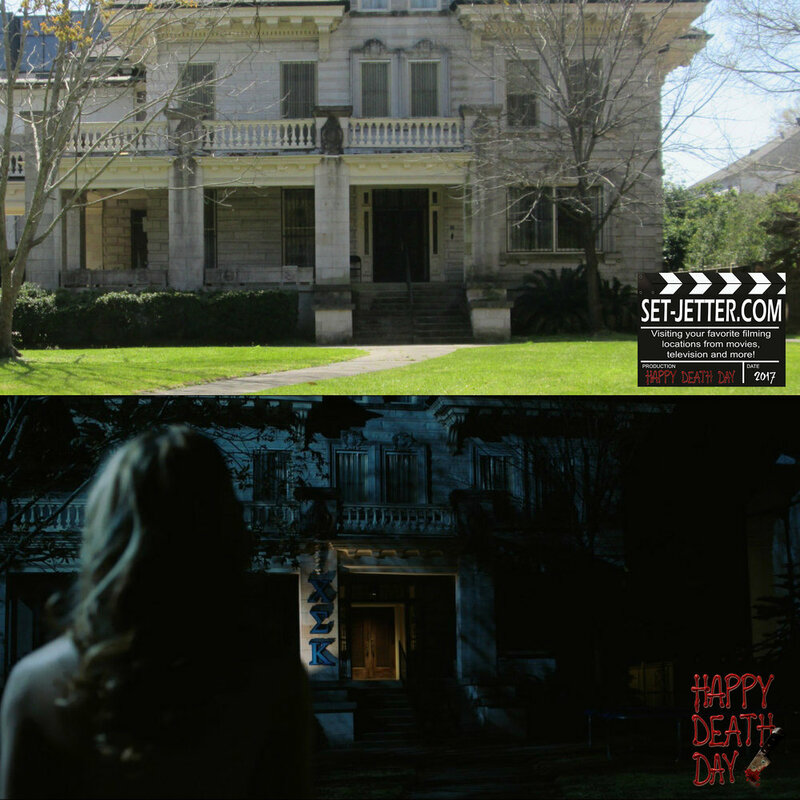 This location was also used in the 2010 remake of A Nightmare On Elm Street. Actor, Rob Meo, from Happy Death Day.